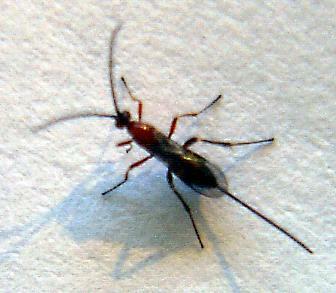 Orgilus wasps are about 9 mm long. The wasp is a good flyer and can work through a paddock searching for PTM larvae. 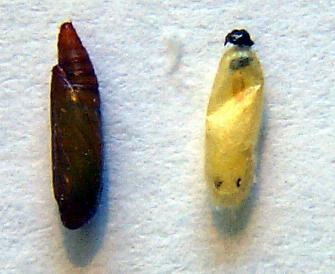 The female lays its egg into small PTM larvae so that a wasp develops rather that a moth. Each wasp can parasitise over 150 larvae. Its takes about 3 weeks for more wasps to emerge from parasitised larvae. Orgilus have a significant impact by reducing subsequent generations of moths within the crop and in in the next crops. 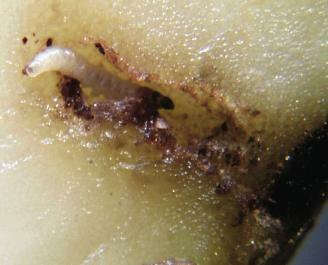 In potatoes, it is the third generation that causes problems in tubers. The first and second generations cause foliage damage only that is typically not of economic importance (always exceeptions). In some growing areas, locally occuring Orgilus and other parasitoids may move into crops if insecticide use is minimal. They can reach useful levels in this way. Mass releases make this much more reliable and will compliment the natural population of befeficial insects. Orgilus were mass reared in the late 1990's and was distributed far and wide with significant reductions in PTM in many areas. In potatoes, 600 wasps released over 6 weeks is enough to cover a paddock of 10 hectares under moderate moth pressure. Releases should start soon after the first shoots emerge from the ground. The wasps will emerge in the following few days. Open flaps on the container then place it in the field with protection from direct sun using a piece of cardboard or other means. Place on the side of the paddock from where moths are likely to migrate. Orgilus are not currently mass reared but BioResources is preparing to re-start its Orgilus production. Contact BioResources for further information. 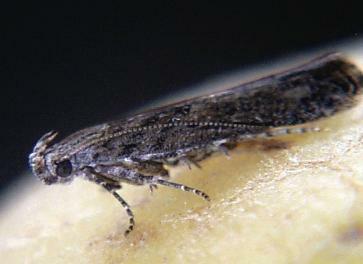 Trichogramma pretiosum targeting heliothis and loopers.